stylos: Did the church choose the canon? 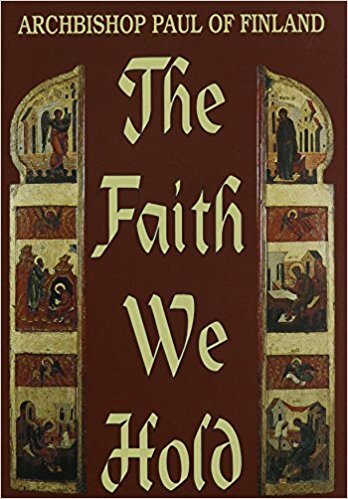 Why is the church given priority as the subject of the first chapter in this book? Because the Church came into being first, and only afterwards, little by little, did the books of the NT, the Gospels and Epistles, appear…. The prime importance of Tradition is plainly shown by the fact that it was not until the fifth century that the Church established conclusively which books in circulation should be regarded as genuinely inspired by God’s revelation. Thus, the Church itself determined the composition of the Bible…. It is our belief that the Bible by itself, without the Tradition as its living interpreter, is insufficient as a source of truth (pp. 18-19). I used that quote in my conference message on canon at Redeeming Grace to illustrate the Orthodox view on the authority of Scripture. The Scripture is autopistos [self-authenticating] that is, hath all its authority and credit from itself; is to be acknowledged, is to be received, not only because the church hath so determined and commanded, but because it comes from God, not by the church, but by the Holy Ghost (pp. 279-280). For Protestants, it is not the church who chooses the canon. Rather, it is best to say that the church acknowledges or recognizes the self-authenticating canon of Scriptures as being the inspired Word of God. Nicely said. Thank you so much. Still learning. Ariella, thanks for the comment. Glad the post could be of help. Still learning too.